Accelerate Deductions and Defer Income – It sometimes makes sense to accelerate deductions and defer income. There are plenty of income items and expenses you may be able to control. Consider deferring bonuses, consulting income or self-employment income. On the deduction side, you may be able to accelerate state and local income taxes, interest payments and real estate taxes. Bunch Itemized Deductions – Many expenses can be deducted only if they exceed a certain percentage of your adjusted gross income (AGI). Bunching itemized deductible expenses into one year can help you exceed these AGI floors. Consider scheduling your costly non-urgent medical procedures in a single year to exceed the 10 percent AGI floor for medical expenses (7.5 percent for taxpayers age 65 and older as of the end of 2016). This may mean moving a procedure into this year or postponing it until next year. To exceed the 2 percent AGI floor for miscellaneous expenses, bunch professional fees like legal advice and tax planning, as well as unreimbursed business expenses such as travel and vehicle costs. Make Up a Tax Shortfall with Increased Withholding – Don’t forget that taxes are due throughout the year. Check your withholding and estimated tax payments now while you have time to fix a problem. If you’re in danger of an underpayment penalty, try to make up the shortfall by increasing withholding on your salary or bonuses. A bigger estimated tax payment can leave you exposed to penalties for previous quarters, while withholding is considered to have been paid ratably throughout the year. Leverage Retirement Account Tax Savings – It’s not too late to increase contributions to a retirement account. Traditional retirement accounts like a 401(k) or individual retirement accounts (IRAs) still offer some of the best tax savings. Contributions reduce taxable income at the time that you make them, and you don’t pay taxes until you take the money out at retirement. The 2016 contribution limits are $18,000 for a 401(k), 12,000 for a SIMPLE IRA and $5,500 for a traditional/Roth IRA (not including catch-up contributions for those 50 years of age and older). Reconsider a Roth IRA Rollover – It has become very popular in recent years to convert a traditional IRA into a Roth IRA. This type of rollover allows you to pay tax on the conversion in exchange for no taxes in the future (if withdrawals are made properly). If you converted your account this year, re-examine the rollover. If the value went down, you have until your extended filing deadline to reverse the conversion. That way, you may be able to perform a conversion later and pay less tax. Get Your Charitable House in Order – If you plan on giving to charity before the end of the year, remember that a cash contribution must be documented to be deductible. If you claim a charitable deduction of more than $500 in donated property, you must attach Form 8283. If you are claiming a deduction of $250 or more for a car donation, you will need a contemporaneous written acknowledgement from the charity that includes a description of the car. Remember, you cannot deduct donations to individuals, social clubs, political groups or foreign organizations. 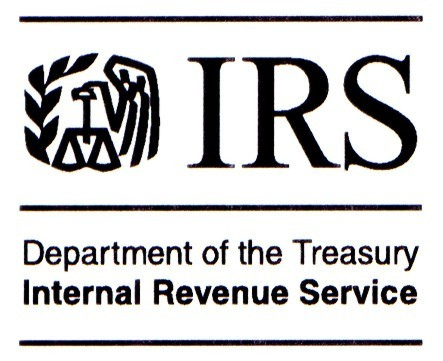 Give Directly from an IRA – Congress finally made permanent a provision that allows taxpayers 70½ and older to make tax-free charitable distributions from IRAs. Using your IRA distributions for charitable giving could save you more than taking a charitable deduction on a normal gift. That’s because these IRA distributions for charitable giving won’t be included in income at all, lowering your AGI. You’ll see the difference in many AGI-based computations where the below-the-line deduction for charitable giving doesn’t have any effect. Even better, the distribution to charity will still count toward the satisfaction of your minimum required distribution for the year. Zero out AMT – Some high-income taxpayers must pay the alternative minimum tax (AMT) because the AMT removes key deductions. The silver lining is that the top AMT tax rate is only 28 percent. So you can “zero out” the AMT by accelerating income into the AMT year until the tax you calculate for regular tax and AMT are the same. Although you will have paid tax sooner, you will have paid at an effective tax rate less than the top regular tax rate of 39.6 percent. But be careful, this can backfire if you are in the AMT phase-out range or the additional income affects other tax benefits. Use Your Gift Tax Exclusion – You can give up to $14,000 to as many people as you wish in 2016, free of gift or estate tax. You get a new annual gift tax exclusion every year, so don’t let it go to waste. You and your spouse can use your exemptions together to give up to $28,000 per beneficiary. Leverage Historically Low Interest Rates – Many estate and gift tax strategies hinge on the ability of assets to appreciate faster than the interest rates prescribed by the IRS. An appreciating market and historically low rates create the perfect atmosphere for estate planning. The past several years presented a historically favorable time, and the low rates won’t last forever.